Chas Everitt Cape Town South are delighted that, for the first time, we are able to EXTEND our quarterly hamper project (called Our Mothers Our Fathers) outside of False Bay. These hampers go to very deserving elderly beneficiaries. 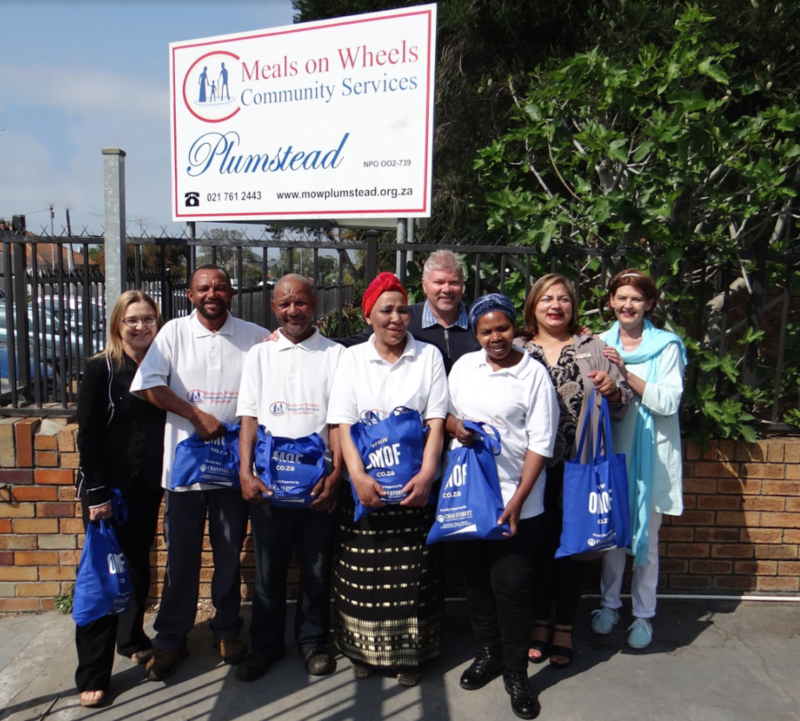 We have been working with the great staff and organisers at Meals on Wheels to identify deserving elderly residents in Plumstead / Diep River area building on what we already do in the False Bay area. Thank you to all who have contributed to making the Spring Hamper possible. We will start collecting our Christmas Hamper early in November. Donations can be dropped off at Chas Everitt Fish Hoek or Chas Everitt Tokai or Chas Everitt Bergvliet or if you call Eileen on 021 712 5029, we will if there are at least ten items collect contributions from you. Well done to our many clients and friends who make these quarterly hampers ‘happen’ and the Chas Everitt Cape Town South team who ALL contribute so generously. In particular thanks to our Hamper Co-ordinators, Diep River agent Joan Ross and our Plumstead agents Franlize Fourie and John Gentz.